Unisys: "Our security solutions is what sets us apart"
Unisys Corporation, the Pennsylvania, USA, headquartered company, along with IBM was the original mainframe champion before mainframes became largely redundant. Unisys Corporation, the Pennsylvania, USA, headquartered company, along with IBM was the original mainframe champion before mainframes became largely redundant. Unisys has a hoary history going back 144 years, having existed in one form or the other, much before even computers were invented. Even today it gets nearly half of its revenues from governments and counts the likes of US government agencies like FBI and CIA amongst its clients. 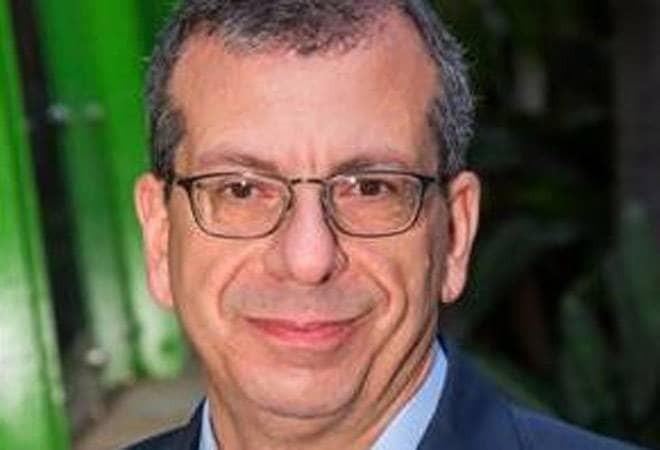 In the recent past Unisys has morphed itself as a software services player and this has accelerated under Peter Altabef an industry veteran who became President and CEO of the company in 2015. Unisys which in 2016 had revenues of $2.8 billion, has a large India operations which employs about a quarter of its global workforce. Altabef spoke to Venkatesha Babu of Business Today on a recent visit. Edited Excerpts from the conversation. BT: How has the transition been from hardware to a software services company for a legacy player like Unisys and for you personally too? Peter: It's been a great journey. This is my 20th year of coming to India. I first came on 1998, and obviously at that time, I was with Perot Systems, I became the CEO there. And when Dell acquired Perot Systems, I led the Dell Services team, which further expanded our footprint in India. So, I had the opportunity in course of the years to visit almost all the major (IT)centers in India. You know there are differences, anytime you are asked to lead a company. You've got to look at not only where think the company should evolve to, but what the strengths of the company are. So you referred to Unisys as a legacy company, it's a 144 years old company. So for a technology company, that's about as legacy as you can get. But you do have to sit and before you really launch yourself, you have to understand where you are. After I left Dell Services, I became the CEO of a company called Microsystems. And you know Microsystems had very specific expertise in hospitality, food & beverage and in retail, and we had to really plan, how we had to take that company forward, and it was very successful and was acquired by Oracle. When I got here, the real question for me was, what core strengths did Unisys have that I could I thought, propel it to the next generation. VB: ..has it accelerated under your leadership? Also on the yo-yoing performance of the company, when do you expect that to stabilize? Peter: It was pretty clear to me when I joined, that the company needed to evolve to a very industry centric approach. So, we needed to look at our clients, and their needs, so that in specific industries, we could give them an integrated suite of offerings. What Unisys had done before that was to offer point solutions that were a little more generic. So, we have really spent the last 3 years looking at specific industries - travel and transportation, pharmaceuticals, retail banking; and really taken up what we have and lined up specifically for an industry. So now, rather than sell a solution, we will go into the retail banking industry or pharmaceuticals with a whole set of solutions that are geared towards that industry. That was an important part for us. But as much as that was important, what we had to do was find what was the strength of the company that would now differentiate us in the market. Because other companies had evolved into this industry centric approach. It's the right approach, we needed to do it, but although it was necessary, it wasn't sufficient. VB: ...and you are pretty late to the game. What is it that you could bring to the table which would really set you apart? Peter: So being late to the game has the advantage of learning the lessons of the others. So, when we adopted the strategy, we looked at 35 different industries that we service. What we did was we analyzed them along 3 criteria. First criteria was whether we had scale? As we developed further and doubled down our investment, growth would be meaningful. The second was whether we had intellectual property, software IP, and third was where the demand in the industry was coming. So, we had the benefit of picking 4 of this 35 verticals, knowing where the market was, knowing what we had, and knowing where we could double down our investment. So being a little late to the party meant we could do it with a little more knowledge. It also meant we could do it with our ace in the hole. And our ace in the hole for the company is security. So when we think of Unisys as a legacy provider, the strength of that legacy is around security. So the company's solutions historically, are incredibly secure. Clearpath forward which is an operating system that we have, is the only operating system in the world that has never had a forcible removal of data, it has never been successfully attacked and there was a suite of solutions that were beginning to come to market a few years ago, called our Stealth Microsegmentation Suite, so we already had this focus on security. But it's a difference between having some security products and then saying security is going to be embedded soup to nuts and everything you do and that's what we did. So rather than laying security to top of our solutions, as we built these industry areas of expertise, we built security in from the ground up. And that I think, is what we were able to add, as let's say, a little late to the game. So, we were able to say as we built it, let's build security in. VB: Given all the hulabaloo happening around the Intel chips (where some security flaws have been exposed), do you now regret abandoning your own line of CMOS chips which you had and which you used to be proprietary? Peter: No, it was before my time, but it was absolutely, the right decision. We took that technology, we moved that technology from a mainframe system with our own chips, it was no longer economic to design chips and fight against the big boys. We turned that into an 100% intel x86 architecture, which meant we could invest into that software and not have to invest into the hardware but we have gone beyond that, so we now taken that architecture and moved it into a complete software only solution. So, we are now completely capable in a private cloud environment in a Public cloud and in a hybrid environment. So, we can take the R & D related to the operating system and it is now all software. The margins are better the cash flow is better and this is just a scale issue. So, No I don't regret it at all. But I will say that the kind of issues the companies have had with the integrity of the underlying code that has allowed hacking and allowed cyber attacks is actually something that we embrace in the sense that it highlights our security solutions in contrast. So, micro segmentation which is what the stealth products suite is about allows our company to basically treat a firewall as a nice to have, but not something that drives their security anymore. So, our systems will protect company data inside a firewall to the same extent as outside the firewall. Which means if you're worried about something hacking in your system, well, they can hack in, but it will still be protected inside the micro environment. VB: Was that also a legacy strength because if you look at historically you have had a pretty strong relationship with the US government as well as some of the security agencies around the world? Peter: So, you're exactly right. But that relationship is across the world so we are doing that work for governments around the world. Our stealth-platform has been approved for top secret classified data transfer in 28 of the largest companies or governments around the world, so what we do is we take that experience with top secret classified data and we say to Banks we say to Airlines we say to Pharmaceuticals we can protect you to the same extent that we can protect some of the top secret government data, which is a pretty important thing. VB: So the focus is on just 4 of the 35 industry verticals where you had presence earlier? Peter: Lifesciences-pharmaceuticals, Retail-banking, travel and transformation and then justice law enforcement and border protection. If you look just at these 4, they do 45 % of our revenues today. The company has historically been challenged from growth standpoint. That is now t changing. So, if we look at our revenues of the past 3 years. The revenue decline has been cut in half in each year. We have not yet given a forecast for next year. But you can assume that we will you know at a minimal continue that pattern of reaching to our growth. I have said that we expect to reach positive growth during the year, next year. VB: And one of the handicaps of Unisys has been excessive dependence on the US market alone. Has that changed? Has the strategy changed? You know a lot of IT services, historically been what I would call handling 'your mess for less.' It has been how do we take work that is done, how do we improve it? How do we make it more efficient and share the profits between the client and the provider? Unisys was never a mess for less. It just wasn't the way people thought here. Unisys has been an engineering culture, it's been a software culture. But what the company did in the past, it would develop it would take on the responsibility to help a client and would develop a whole suite of software to help that client do it worth. The problem with that approach was that it would be a one off. It would be helpful to the client but it wouldn't make profit because it was investing in software that was just going to sit on the shelf. So, what we have done we have made choice, we have picked industries we have picked software platforms. So, what you've seen from us now is the margins have increased as cash flow has increased it is because we are taking this software mentality and we are taking our solutions and we are doing what I would call software led services. So, we are still providing a service solution to our client. That solution is using our software, using our domain knowledge but rather than doing it as a one off, we are doing it in specific industries with specific solutions that we can then replicate and it's the replication. VB: So, these are reusable software components. Peter: Exactly, what I mean. And, it is by industry but it also across industries so stealth is a great example of a security component that works across industries but is leverageable and is replicable. VB: Historically you have had over concentration of your workforce in the more expensive Northern American market. I know that politically probably isn't the most prudent topic for you to talk about right now but do you see rebalancing of the workforce? Peter: And we have rebalanced. In the past 3 years. Unisys is an interesting company. If you look at the work we work do by sector 46% of our revenue is with the governments around the world. Of the 46 about 20% is with the US federal government. About 26 is with other governments. So that's US state and local well as international. So, when you have 46% of your work with governments, some governments like the US federal will really insist you having your people onshore. Other governments will be more welcoming to have work done offshore. But none of the governments is going to say you can have all of it in low cost locations. So, the fact that 46 % of our revenue is with government's means you could expect even when we have a fully mature knowledge. We have a lower if you will low cost percentage. However, within those limitations we have increased the number of people in more low cost geo's, I would say probably from an approximately from 36% to a 43% and I think that is a significant change. So will we get to the same percentage as companies that are totally focused on the commercial market place? No we can't. But we have made progress and I think as you would expect we are looking at this, and asking, what is the right mix for us. Globally we have about 21,000 people around the world and of that about 4,500 are in India. We consider the Indian marketplace as a very attractive one. We now are really focused on the Indian market as it is big with lot of competition now. And our approach, like the approach for the rest of the company is, do not try to do everything, be very distinctive about what you do and do it well. A good example would be travel and transportation, Air India is a client of ours and we are aggressively pursuing other travel and transportation opportunities. We have a whole sweep of products that are globally effective, we are very significant in the Chinese marketplace as well as in Asia-pacific, US, Europe and Latin America. There is no reason why we cannot build on it in India. SAP is another client we have had around the world, but last year we started to support Indian SAP operations. Companies like Microsoft, we support around the world and we do that support from India, but now we are actually helping Microsoft grow their Indian revenues. Apart from that we work with likes of HUL, ICICI and others. So, I would tell you, that we are very focussed and are optimistic about the India market opportunity. "Women in leadership positions makes a big difference"
"SCM systems need to evolve to benefit from IoT"